Lauren successfully achieved her Level 2 Health and Social Care Apprenticeship at Barton Court Care Home this year, after the opportunity came to upskill. Barton Court Care Home has MANY Health and Social Care Apprentices with IPS International. IPS caught up with Lauren to see how she has progressed since achieving her Apprenticeship. Lauren decided on this as she wanted to upskill and gain a qualification and whilst achieving her apprenticeship, found the experience enjoyable. 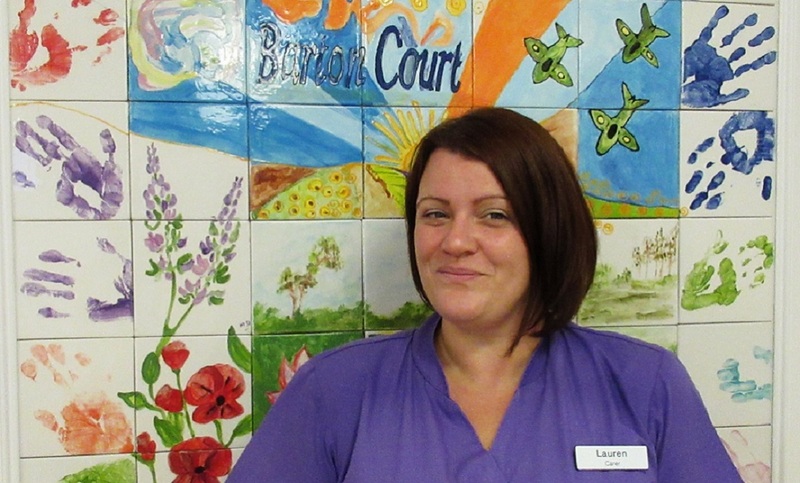 Lauren felt her apprenticeship gave her confidence to help in her role and as well as her apprenticeship has learned in-house new skills at Barton Court Care Home. Lauren is in full-time employment at Barton Court and is looking to progress and gain more qualifications during her time here. Ami Barrington Hunt, the Home Manager at Barton Court Care Home, stated that the reason Barton Court have work with IPS for years is that with the training received, staff are consistent. Amy herself has also lead by example with training and has also achieved a Level 5 Leadership and Management Health and Social Care qualification with IPS. IPS would like to congratulate Lauren and Amy; with their achievements and wish them all the best in their future progression.